Today’s generation is full of tech-savvy students. 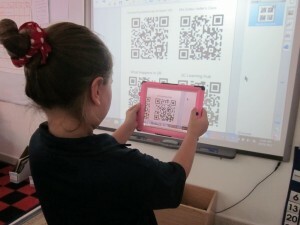 Classroom technology now needs to be central to student’s learning with creative well planned teaching. Every teacher using the iPads in their class should be asking; how is this technology going to enhance the teaching and learning in my classroom? The iPad is a great learning tool to encourage creativity. It’s a great way to teach students how to think on their own and direct their own learning rather than the traditional listen, memorize, and regurgitate methods. Not only will you be teaching your students in a more engaging fashion you will also be better preparing them for their future, where using devices like the iPad will be an everyday work tool. Plus, students will get so engaged in these mobile devices, they won’t even realize they are learning. Here are some ways teachers can use iPads in the classroom to build creativity and enhance learning. Some educators are generating their own Quick Responses codes (those little white-and-black square, squiggly graphics sometimes seen in advertisements) with their students on iPads in the classroom. Teachers and students are using these as easy, quick reference tools. Students can scan them for classwork, teachers can put them on worksheets as examples, and calendars as reminders to students when to do their homework. It’s also an easy way to provide absent students with the information they need to get caught up quickly. 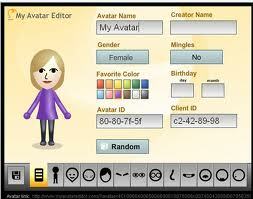 Students can use iPads to make their own avatars to use for projects. They will love being able to customize them with costumes and audio of their own voices. You can let them use the avatars for all kinds of creative things. Have them create commercials, short clips, and presentations with the avatars as characters or tour guides to demonstrate their knowledge on a book they read. Some are creating personal avatars for their blogs. They are likely to dive right into something creative and new like this rather than a boring book report. If you really want to get your students interested in the way of the web have them design their own website on their iPads. You can have them design a personal one or a website on a certain topic or subject. I had a class in college where our final project was to design a website and I must say it was definitely the coolest project I’ve ever done and I really enjoyed it. There are all sorts of apps out there to help you easily do this on an iPad. 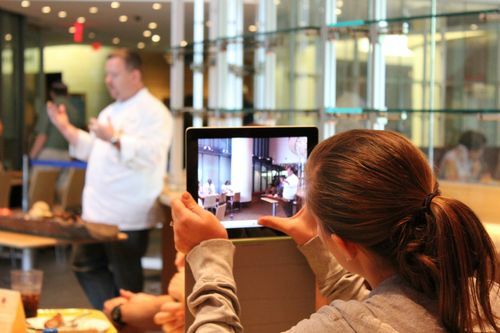 Allow your students to let their creativity shine by letting them create their own movies on their iPads in the classroom. These movies will also be a lot more interesting and fun to share with their fellow classmates than just reading a paper aloud. Using apps like iMovie, students can take video and edit and save videos right from their iPads, no other equipment needed. This is especially great if you have them doing a project where they are interviewing people. Forget about having them write up the interviews; let your students record a video of the interviews. 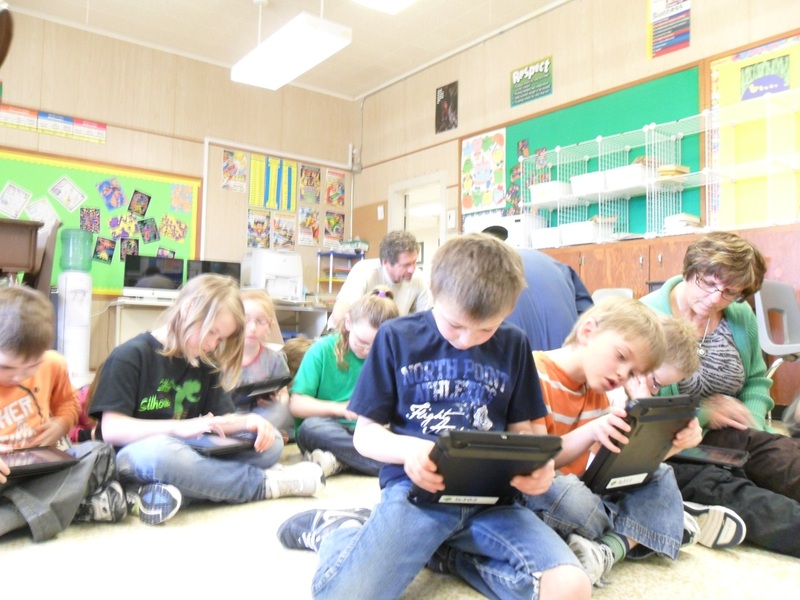 Of course there are tons of fun ways to use iPads in the classroom to really get your students engaged. I just thought these were a few really cool ways to build creativity in the classroom. With technology in the classroom like iPads the possibilities are endless. 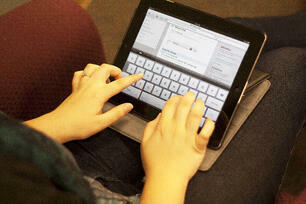 If you have some creative ways to use iPads in the classroom we would love to hear about them. Please share in the comments section below. If your school hasn’t already and wants to provide your students with this great technology in the classroom through either BYOD or a 1:1 program, we are here to help you get started, because the first step to getting iPads in the classroom is preparing your school wireless network. We have planned and deployed school wireless networks all over the country. If you have any questions or would like a free consultation you can contact us here. Also check out our Free Guide to Preparing your Network for the iPad. Our goal is to be a resource for you and we are always glad to help.